Allena Shimabukuro was fishing in Kamakahonu Bay on the Big Island with her Quantum pole and 8-lb test when a fish ate her shrimp bait. After a fun battle, she landed a large iheihe (ballyhoo). 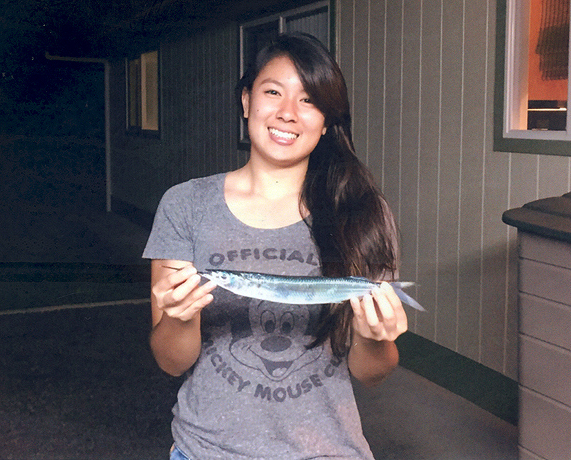 Allena weighed her 8-oz fish at S. Tokunaga Store and discovered that it was a new state record!